Richard Meyers Associates knows your business. That’s because over the nearly 40 years we’ve been in business, we’ve developed an in-depth industry expertise and an extensive network of valuable partnerships. From Fortune 1000 companies to companies of all sizes, we build relationships. That allows us to create a comprehensive talent acquisition and management approach that fits your business better than simply filling a job post. Foremost National Executive Search Firm providing leadership to employers in all levels of Risk Management recruitment. 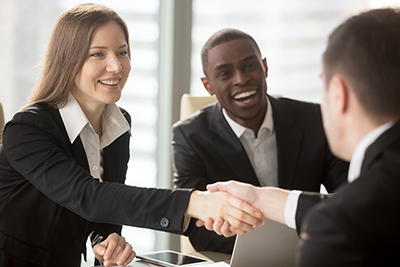 RMA has a trusted reputation because our approach is based first upon gaining an understanding of your company, so that we may appreciate the assignment in terms of its potential significance within the overall organization. Richard Meyers Associates (RMA) is a recognized partner of many Fortune 500 companies. We invest all of our resources and capabilities in identifying exceptional talent to assist you in achieving your business goals and objectives. As students of your business, RMA absorbs information about your culture, products and services, and the mission that drives it all, to bring you superior talent and lasting employee commitment.